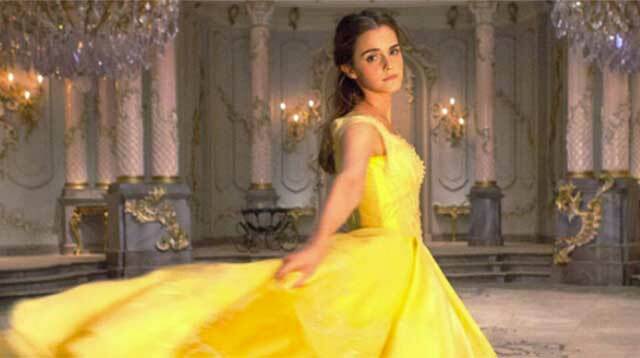 It was Belle's 'empowering defiance' that swung it. The Beauty And The Beast teaser posters and trailers have made it clear that Emma Watson is the perfect Belle, but it turns out the actress was asked to be a totally different Disney princess before she took on the role in the upcoming live action adaption. Emma has revealed she was given the chance to be Cinderella in Kenneth Branagh's remake, but she rejected the part because she didn't believe that particular princess was enough of a role model. "I didn't know they were going to make Beauty And The Beast at the time I turned down Cinderella," Emma explained to Total Film magazine. "But when they offered me Belle, I just felt the character resonated with me so much more than Cinderella did. She remains curious, compassionate and open-minded. And that's the kind of woman I would want to embody as a role model, given the choice." While Emma said she initially had concerns about taking on Belle, she worked with the film's director Bill Condon to shape the character into a woman with "empowering defiance." "In a strange way, she challenges the status quo of the place she lives in, and I found that really inspiring," she added. Her endorsement of more feminist Belle comes after Emma confirmed the character's backstory had changed, so that the princess was the inventor rather than her father. "I was like, 'Well, there was never very much information or detail at the beginning of the story as to why Belle didn't fit in, other than she liked books," she told Entertainment Weekly. "Also, what is she doing with her time? So we created a backstory for her, which was that she had invented a kind of washing machine, so that, instead of doing laundry, she could sit and use that time to read instead. So, yeah, we made Belle an inventor." Just more proof that Emma was the right girl for the job. Beauty and the Beast arrives in cinemas on 17th March, 2017.